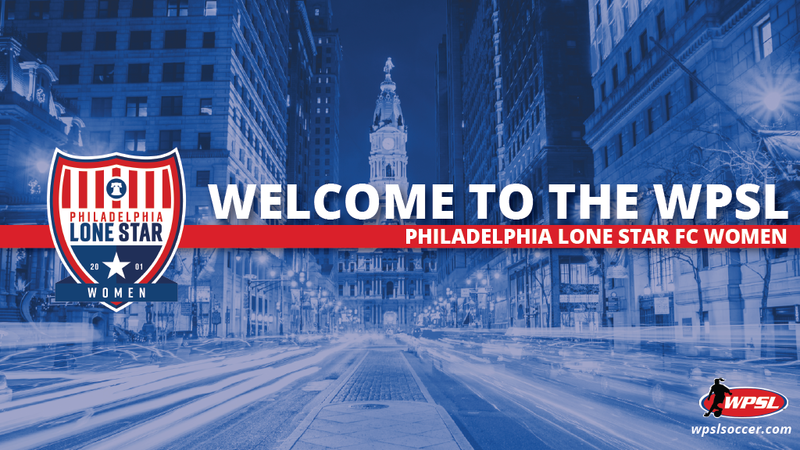 PHILADELPHIA – Philadelphia Lone Star FC, an established club inspired by community and volunteers, will join the Women’s Premier Soccer League as an expansion side for the 2019 season, the league announced Wednesday. Founded by West African immigrants in 2001 in Southwestern Philadelphia, Lone Star has an all-volunteer staff coaching more than 150 youth and adult players. The club has had a men’s side in the National Premier Soccer League since 2012. Paul A. Konneh III is the club’s president and executive director, a position he has held since 2011. Charlie Flowe will be the WPSL club’s coach for its inaugural season. Flowe has coached soccer in Philadelphia since 2002 and was the play-by-play voice for Sky Blue FC in the National Women’s Soccer League. Lone Star will hold tryouts Sunday, Dec. 23 from 11 a.m.-1 p.m. at the Suburban Sports Training Center in Conshohocken, Pennsylvania. The club will play its home matches at the South Philadelphia Athletic Super Site on Bigler St., which is less than a 10 minute walk from the nearest SEPTA Broad Street Line rapid transit station. It will have three immediate rivals in the Greater Philadelphia area with Penn Fusion SA (West Chester), Torch FC (Perkasie) and Philly Fever (Oakford). The women’s club joins CAFC Ospreys (Frederica, Delaware), EGA Omaha, Alamo City SC (San Antonio), Chatham FC (Savannah, Georgia), Wake FC (Raleigh, North Carolina), ASC San Diego, EPIC Sport Management (Victoria, British Columbia), Indios Denver FC, FC Arizona Women (Mesa, Arizona) and Charlotte Eagles as announced 2019 expansion clubs.